On June 2nd, Representative Joe Pitts (R-PA) introduced a resolution in the US House of Representatives calling for the repeal of blasphemy laws around the world. 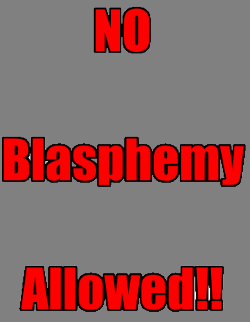 At least 50 countries have some form of blasphemy law on the books and in some of them the penalty is death. Contact your representative today and ask them to support the resolution. This entry was posted in Issues and tagged action, blasphemy, Center for Inquiry, Congress, Resolution on June 19, 2015 by Doug. Last week during the current session of the UN Human Rights Council, when statements were allowed on a special report on Freedom of Religion or Belief, the representative from Denmark agreed with the report that anti-blasphemy laws needed to be repealed but her government elected to leave an anti-blasphemy clause in its penal code. The International Humanist and Ethical Union (IHEU) was not amused. This entry was posted in Issues and tagged blasphemy, Denmark, End Blasphemy Laws campaign, human rights, IHEU, UN Human Rights Council, United Nations on March 17, 2015 by Doug. 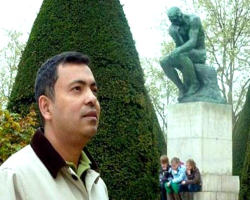 Dr. Avijit Roy, a Bangladeshi-born U.S. citizen from the Atlanta area, was murdered Friday while on a visit to his home country. The murderers justified their actions through their Islamic religion. It’s unfathomable to think, here in the US, that someone could be murdered for their religious dissent but it happens too much in places like Bangladesh. The best way to deal with people who want to murder others because they don’t have the same beliefs is more speech and more dissent. This entry was posted in Issues and tagged atheism, Bangladesh, blasphemy, Dr. Avijit Roy, freethought, Islam, murder, religious dissent, religious extremism on February 28, 2015 by Doug. On January 30th, the International Humanist and Ethical Union (IHEU) and the European Humanist Federation (EHF) announced a new project to help abolish blasphemy laws around the world. In many parts of the world, any criticism of religion can lead to a prison sentence or worse. The End Blasphemy Laws campaign has a lofty goal to reach. 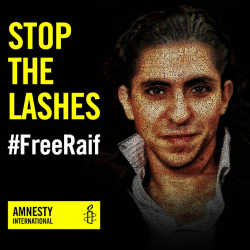 This entry was posted in Humanist Movement, Issues and tagged blasphemy, End Blasphemy Laws campaign, European Humanist Federation, freedom of expression, freedom of religion, human rights, International Humanist and Ethical Union on January 31, 2015 by Doug. Back in early August, delegates from around the world convened the World Humanist Congress at Oxford in the United Kingdom. One major activity was adopting and announcing the Oxford Declaration on Freedom of Thought and Expression. Even in our advanced modern era, we still need to point out the need for freedom of thought and expression. This entry was posted in Humanist Movement, Issues and tagged blasphemy, freedom of expression, freedom of thought, IHEU, International Humanist and Ethical Union, The Oxford Declaration on Freedom of Thought and Expression, World Humanist Congress 2014 on September 10, 2014 by Doug. The International Humanist and Ethical Union (IHEU) gave a report to the United Nations detailing that Atheists, humanists, freethinkers and other non-religious people are discriminated against around the world, where expression of their views is often criminalized and subject to capital punishment. 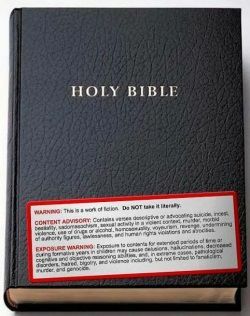 The report was in response to efforts by Islamic countries to obtain a world ban on “defamation of religion”. Freedom of Religion and freedom of expression shouldn’t be in conflict. This entry was posted in Humanist Movement, Issues and tagged 1st amendment, apostasy, blasphemy, freedom of expression, freethought, Human Rights Council, International Humanist and Ethical Union, Organisation of Islamic Cooperation, religious dissent, religious freedom, United Nations on February 26, 2013 by Doug.